Most people, including parents, tend to use the terms ‘infant’ and ‘newborn’ interchangeably. Pediatricians, on the other hand, use the term newborn to refer to babies from birth to their second or third month, while referring to children aged three months until one year old as infants. For newborns, prams are highly advisable since they offer the most comfort and security. You can simply upgrade to a different type of stroller when your baby gets older. For infants, however, the best baby strollers are full-sized models. The reason is simple. These strollers offer all the functionalities and features you need and will prove useful until your child’s older. The only downside? They’re usually bulky and cumbersome. These strollers come with spacious storage baskets. I can’t stress enough how important it is to have easy access to things that you and your baby need on the road. 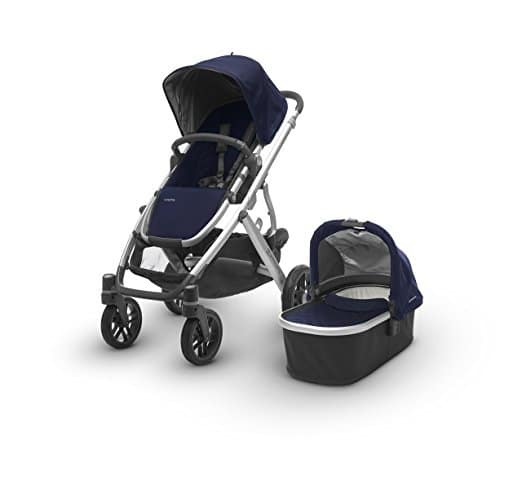 Standard strollers offer multiple reclining options, including flat positions. Different reclining positions are important since infants can’t sit on their own just yet. And they prefer to sleep most of the time! A full-sized stroller offers the most features and benefits compared to the others. If you’re in the shop for the best infant stroller, keep in mind that the full-sized variety is on the heavier side. So you may want to find one that makes going out and about as smooth as possible. Adjustability is another thing to consider especially you plan to use the stroller beyond your child’s infancy. For example, you want the seat openings to accommodate your kid’s growing size. And lastly, consider a stroller that offers multiple facing positions, so your baby doesn’t feel restricted. You probably don’t plan on taking your infant out to jog. So why pick a jogging stroller? 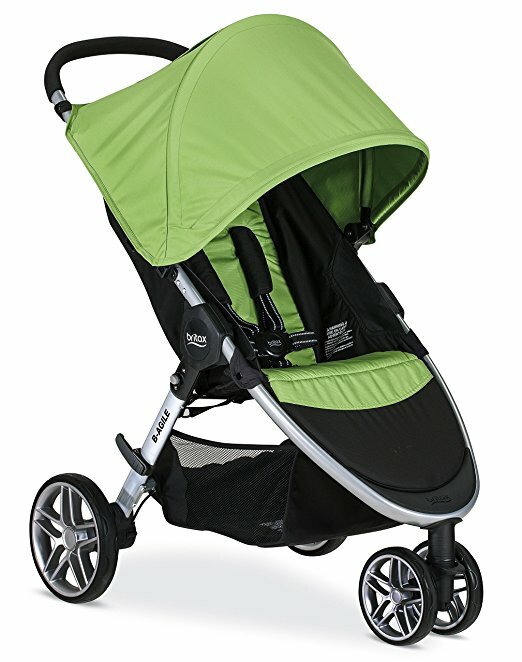 For starters, the Bob Revolution PRO also doubles as a standard stroller. Its all-terrain build makes it a suitable companion for walking in the park, squeezing through tight shopping aisles, and of course, jogging on the street. The padded handlebar is adjustable, giving you nine different height options. The air-filled and high-impact polymer wheels (not common among strollers) are also a welcome addition. Not to mention all three wheels swivel and lock. The Bob Revolution PRO also boasts ample storage, with a basket under the seat large enough groceries, baby supplies, and other stuff you need to bring. Another cool feature that I like as well is the fact that it allows you to install other useful attachments to it like a snack tray or a handlebar console with a tire pump. Use the Bob Revolution PRO with care and this stroller will last beyond your kid’s infancy, probably until the toddler years! The only downside I can point out is that the two-step folding process can feel a little awkward. But one can grow used to it with daily use. 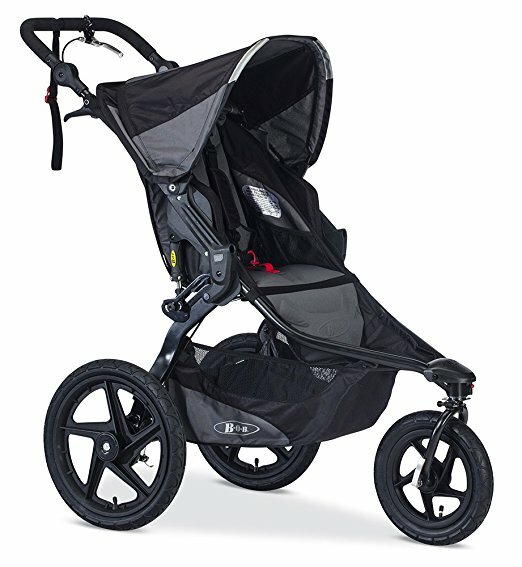 The Relay Jogger is another jogging stroller with a budget-friendly price and a sturdy build that can also last you a few years with proper use. Just snap the Graco SnugRide Click Connect 35 infant car seat. 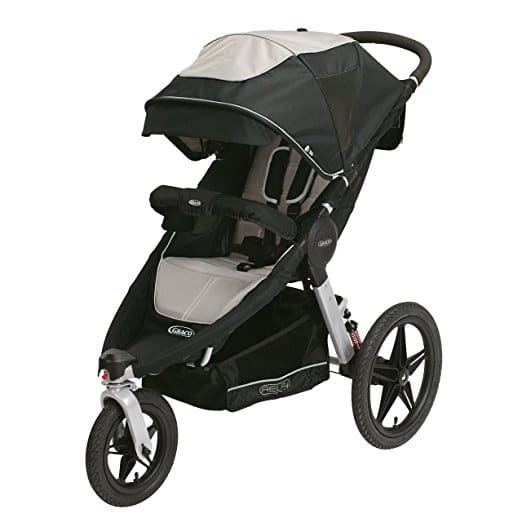 The Graco Relay Jogger also packs many features that make for a more comfortable travel time with your child. How about mesh pocket cup holders both for you and your baby? It also comes with a zippered storage and phone pockets, too. Taking selfies with your child has never been easier. The budget-friendly the B-Agile 3 from Britax is another excellent buy. The stroller is easy to carry around, thanks to its lightweight aluminum frame and one-hand fold design. The three-wheel configuration makes this stroller look like a jogger, but it’s not. Nevertheless, adopting such a design is a wise move since this set-up allows easier maneuvering especially along narrow aisles. It’s compatible with any Britax infant car seat for easy conversion into a travel buddy. The stroller comes with its own adapters. You can use a different car seat, but you’d have to buy it separately. With its price tag along with other useful features, you’d probably want to go ahead and buy one for your baby. But, do check first if the stroller is compatible with your height. Unfortunately, the handlebar is non-adjustable. The Vista Stroller sure is pricey. But you get what you pay for! This model lets you accommodate up to three kids by adding another seat and a standing platform for toddlers. The super large storage bin underneath. It’s not only bigger than other strollers, but the bin can also carry a lot of weight. Even better, you can access this storage container from all sides. And if you need a travel system, you can get the smart and secure MESA Infant Car Seat (sold separately). On the other hand, the heavier the stroller is, the harder it is to push around. Sadly, the Vista stroller is no exception. It can carry a lot of weight, but the stroller becomes harder to push as you load it up. The Armadillo stroller is another budget-friendly stroller on this list. It’s strongest selling point is the extra large canopy, giving your baby the protection and shading that he or she needs while you’re on the go. And even better, the canopy is detachable, too, making it easy to clean. 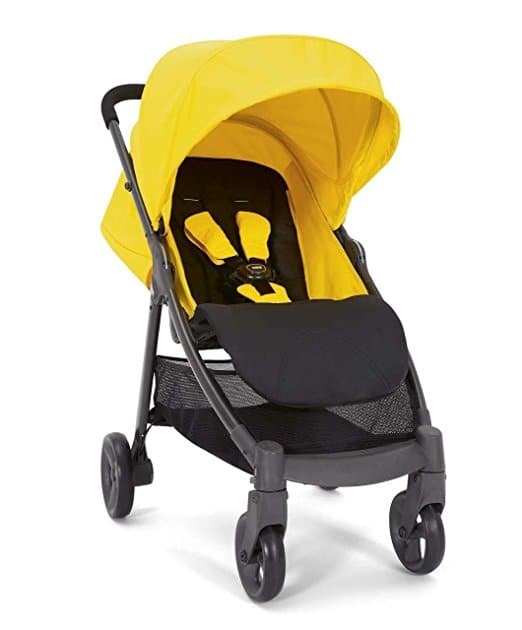 Like the other strollers on this list, the Armadillo is compatible with a few car seats but note that you need to purchase the adapters separately. With this Mamas & Papas stroller, you get a light and compact model that provides enough space for your baby to stay comfortable. Note, however, that the handlebar is non-adjustable. So before you the Armadillo, be sure to check if it’s compatible with your height.